Once you have decided that you wish to contact Westkin in relation to your immigration query you may do so by filling in our priority query form or by calling us directly. An immigration lawyer will contact you shortly to have a discussion over the telephone. We strongly believe that every client deserves time and respect. We therefore offer a preliminary consultation where you will have the opportunity to explain your case to an immigration expert. During the conversation the lawyer will obtain all the relevant information, identify the pertinent issues and depending on the circumstances provide available options and quote prices for the work that needs to be done. This initial telephone consultation is completely without charge. 1. Your query was very basic or administrative and that is the end of the matter. 2. You decide that you would like to attend a fixed fee consultation for further detailed advice and options available. Such a consultation usually lasts between 60-90 minutes depending on the complexity of the case. The charge for such a consultation is £125 excluding VAT. This fee is reimbursed if the client wishes to proceed to a full service. 3. You are happy with the advice provided to you on the telephone and decide to proceed with a full service and want work to start immediately on your case. 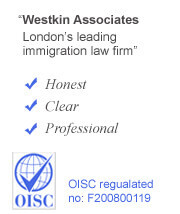 Westkin also provide a document checking service where clients have predominantly competed their own applications and want reassurance that their application and documents meet the relevant immigration requirements. An experienced lawyer in that particular application will review your case, advise on the merits, explain if the documentation is adequate and what, if any, further documents are required. This service will normally take 90 minutes and costs £250 excluding VAT. Once a lawyer is assigned to your particular case you can be assured that your case will be prepared to the highest standard; each case is handled sensitively and diligently. Your lawyer will be easily available for you to contact and you will be kept fully abreast of developments in your case. • Advise on further documentation needed and next steps. A full checklist of documents will be provided to you which has been tailored to your case. When providing advice to clients our lawyers adopt a holistic approach; we don’t see each client in isolation. In that regard we are mindful of family members, future partners and staff members. Our advice is forward looking and will always consider the long term benefits for you and any secondary applicants which could include settlement, education options for children and citizenship. Westkin take the privacy of their clients extremely seriously. Any details you provide us will be kept in the strictest confidence and will not be shared with third parties without your prior consent. 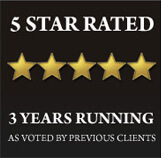 We look forward to taking on your case and providing you with the highest quality in legal services.